then one can see – it has already worked! 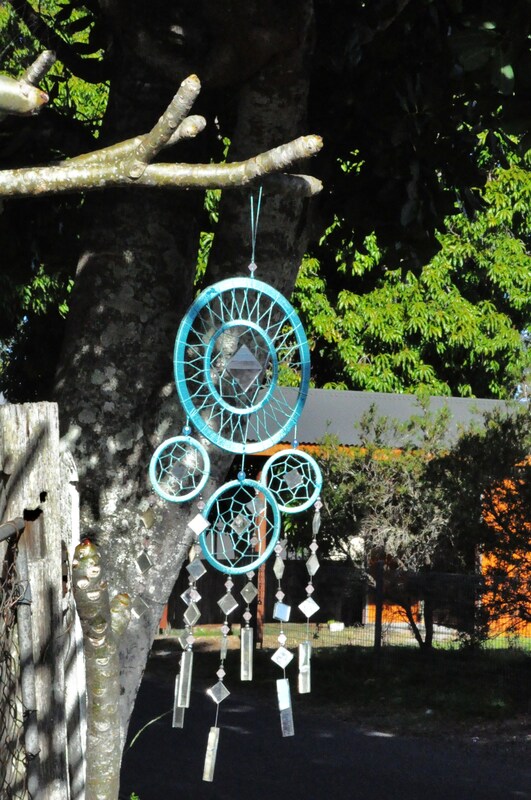 I wrote this one last month and unfortunately the universe that inspired someone to decorate our backyard tree with a beautiful dream catcher has compelled someone else to move it on. Even if it was something that my mother would not have put there, and knowing that she has previously offered it to my sister to take home with her, she swears she didn’t touch it! This entry was posted in Commentary, Photography, Poetry and tagged Alexandra J Cornwell, Australian poetry, creative writing, dream catcher, impermanence, poetry, transition, universe. Bookmark the permalink. Thank you Kismet – I like to think we make into reality our dreams, but you’ve got to have the dream first! I came across your list regarding the Britton family on Trove and put 2 and 2 together to find this site.I live in Sydney and am doing some work on the cemetery adjacent to St Johns Church, Gordon. The first burial at the cemetery, on 8 May 1867, was that of Mary Ann Britton, first wife of John and mother of William, Alice and Sarah. Please send me an email if you would like a photo of Sarah’s headstone. Regards, Colin Choat.